We proudly offer Paninis, Burritos, and Rice Bowls, made with homemade, authentic Puerto Rican flavor, with the freshest ingredients available (never frozen). Before 10:00am, we offer breakfast menu items including Breakfast Burritos, Breakfast Sandwiches, Egg Bowls, and seasonally Fresh Fruit and Granola Parfaits. In addition to our menus, we are happy to create unique offerings for people with gluten-free diets, as well as our vegetarian customers. Where are you based and what cities are you permitted? We are local to Hampton Roads, based in Virginia Beach. We are permitted in Virginia Beach, Chesapeake, Norfolk, Newport News, as well as local military bases. What separates your food truck from the rest? The time, effort, and care we put into each of our menu items, being able to offer genuine, authentic flavors of Puerto Rican cuisine, and the warm hospitality of the chef makes our customers proud to recommend us and follow us to our various locations for more food. What did you do before you owned a food truck? I have extensive experience in the culinary industry including being a talented chef at Foxwoods Casino (CT). My career and passion for unique flavors has led me to develop my own palate, which exudes in my food. This has cultivated in my desire to offer my food to people all over Hampton Roads. Thus, I endeavored in my Food Truck Business and I am finding it extremely rewarding. What do you like most about having a food truck? I love to cook and with my Food Truck, I am blessed to have the opportunity to travel throughout Hampton Roads, with the ability to offer my authentic Puerto Rican menu people in different locations, and having the ability to serve our working men and women who may not have the opportunity to leave their offices for food, including our military men and women. Where did the name of your food truck come from? I�m from the Island of Puerto Rico and we love our frog call Coqui and anchor is in respect of my better half my husband and my best and to all our man and woman that serve in our great Navy. Why did you decide to open a food truck/get into the food truck business? 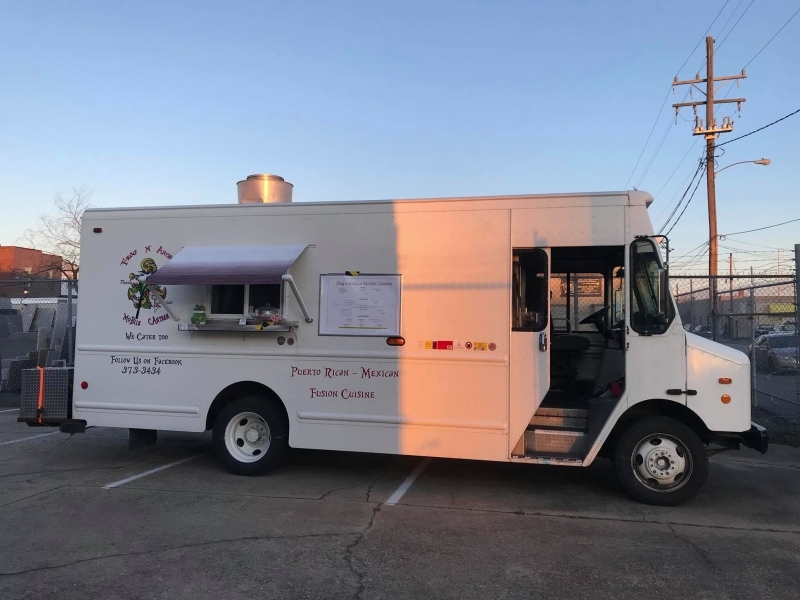 I decided to open my Food Truck business with the enthusiastic encouragement and support from my better half, my husband, as well as my family and friends who support, and believe in me as well as encouraging me every day. Any other comments? Always listen and ask questions no matter if you think they�re not smart enough.